A hearty perennial with thick strap-like leaves that may reach as much as 4 or 5 feet in height when flowering. American Indians often used the leaves of this plant to produce baskets. Yucca is often planted as an ornamental but may also be found in pastures, along roadsides, in non-crop areas, and around old homesteads. 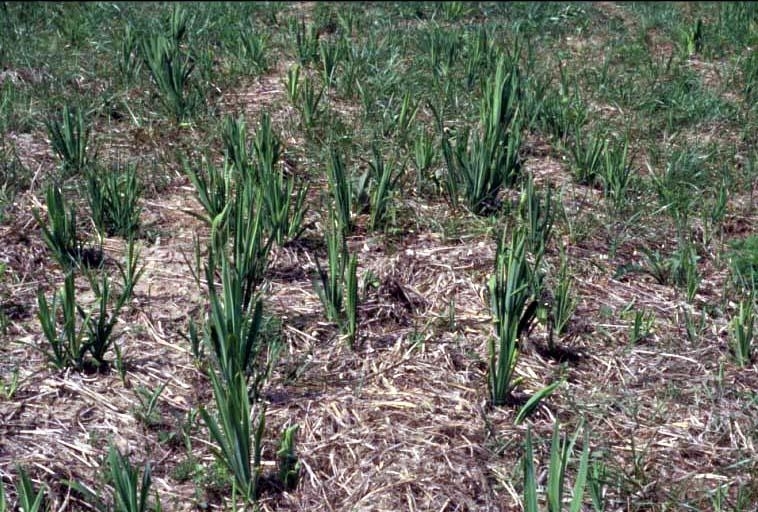 Young seedlings and plants emerging early in the year from previous cutting may initially resemble a grass, but plants quickly develop into a basal rosette. Leaves are tough, thick, and may reach as much as 2 feet in length. Fibers often become noticeably separated from the edges of the leaves and become twisted, reaching as much as 3 or 4 inches in length. Upright, erect flowering stems are only produced late in the season when these plants begin to flower. 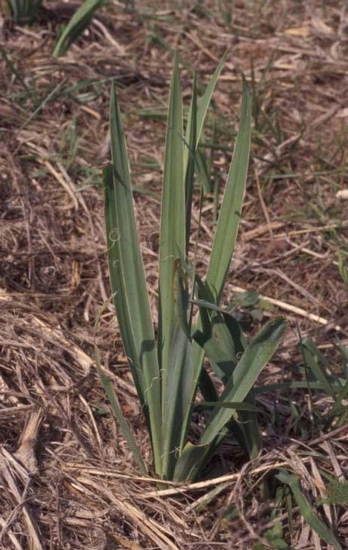 Stems can reach as much as 4 or 5 feet in height in the mid-Atlantic United States, but the height of the flowering stem produced is largely dependant on climate. Stems do not contain leaves. Many (~12 to 24) showy white flowers occur on the erect flowering stem. Individual flowers range from 1 to 2 1/4 inches in length and occur on short flower stalks (pedicels) that attach to the flowering stem. A capsule 1 to 2 inches long and approximately 3/4 inch in diameter. Capsules contain many flattened black seed. Hearty thick rootstock with underground stems that are capable of producing new plants. 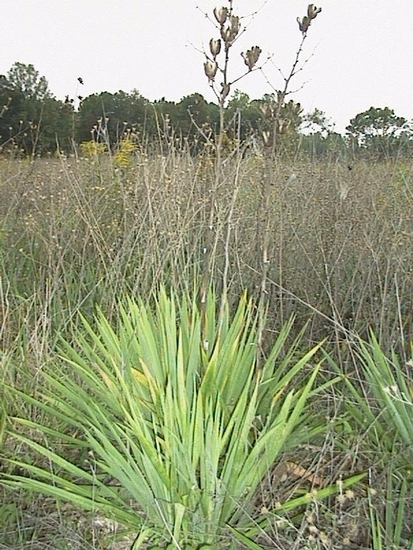 The rosette growth habit and tough, strap-like leaves with frayed margins helps to identify most yucca species. However, several different species occur throughout the United States.